Work is signed Lëon. 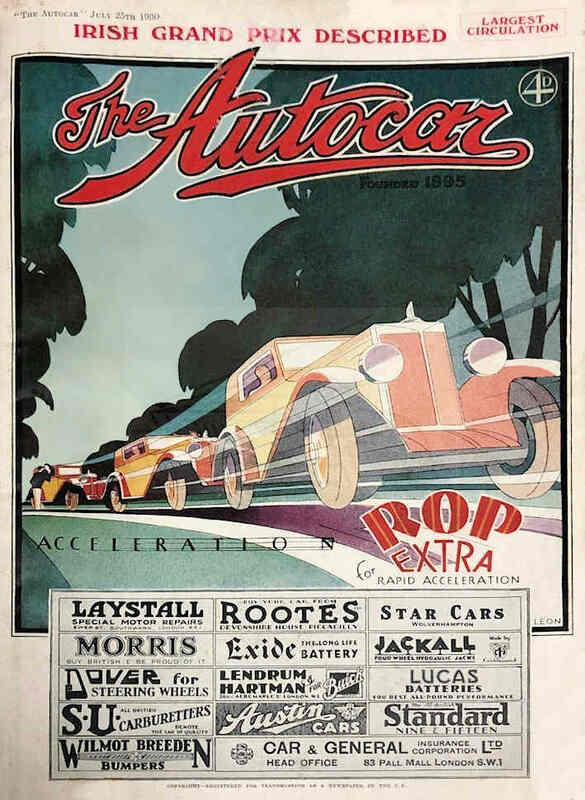 Double page illustration in The Autocar magazine 4th July 1930 and front cover design 25th July 1930 ROP Extra. Advertisement for Talbot cars 9th December 1932. 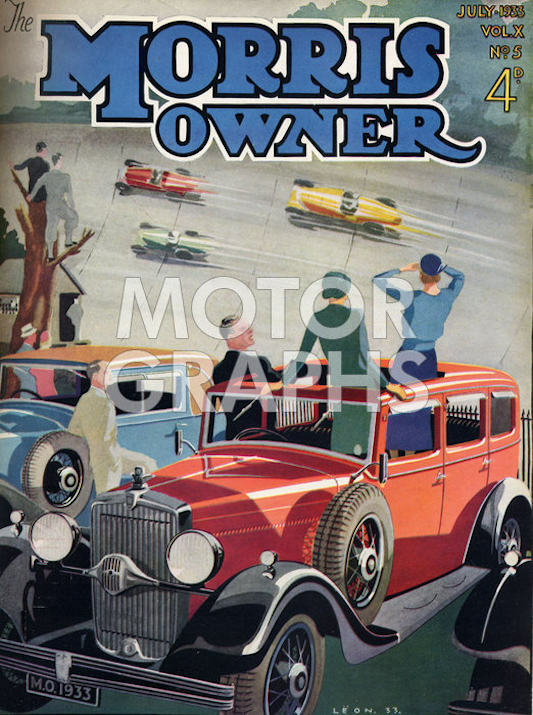 Autocar front cover for Morris cars 4th May 1934. Also full colour advert page for Lockheed Brakes in The Motor 16th March 1937 and Vauxhall 14 advert on 18th April 1939.